Speaking to investors in a Q3 earnings call earlier this week the club’s executive vice-chairman Ed Woodward said it planned to “aggressively market” its in-house MUTV app and other owned platforms with both above and below-the-line advertising. The move is part of a systemic shift within football. Europe’s biggest clubs, with millions of fans around the world following them on social media, are waking up to the fact they are failing to properly commercialise those audiences online. United’s attempts to do this saw them launch a Netflix-like subscription app earlier this year. MUTV was created to cater to their 659 million international fans, giving them access to on-demand content and live streams. The club then hired former Yahoo and Sony Pictures executive Phil Lynch to oversee the platform’s evolution as its first chief executive of media. Adrian Pettett, chief executive of Havas Sport and Entertainment Cake, said such investments “reflect the changing economics of top flight sport and the increased importance of digital and mobile channels”. Compared to other top European clubs, United was slow off the mark to build its digital portfolio but now its global status is better reflected in its online presence. Woodward talked up United’s supremacy on social media where its 140 million plus followers across Facebook, Instagram, Twitter and others ensured United alone accounted for 50% of the entire league’s interactions on social in the three months ending 31 March. However impressive this audience size may be, the commercial value is miniscule when compared to the broadcast deals, match day revenue and merchandise sales which the club generate. These traditional revenue streams are well established and while they can continue to grow and evolve- take the recent introduction of the sleeve sponsorship space as evidence – clubs are unlikely to see these figures instrumentally increase. Broadcast revenues are unlikely to continue growing at such a fast pace given the disruption to the traditional pay TV model and stagnation in viewing figures for live sports. Digital is the largely uncharted ocean in this respect and clubs like United are becoming more adept at navigating them. Woodward revealed as much when he said they would utilise its social channels to drive subscriptions to their owned platforms. It’s here where the real value lies; by steering their shoal of social media followers towards their own shores, football clubs can then access a plethora of valuable audience data, a treasure chest which the likes of Facebook and Instagram keep for themselves. Steve Martin, chief executive of M&C Saatchi Sport and Entertainment, sums it up best when he explained, “that data is like their oil”. This knowledge in turn can be monetised through advertising sitting on United’s owned platforms like its website and app, and it will be the club that enjoys the bulk of the revenues here rather than the social media platforms. Such gains are only possible if clubs hold the data on their audiences which is why there is a concerted effort among top clubs to take ownership of their content. Martin points out that you need only look to the emergence of Dugout as evidence for this. The digital football platform launched in November having convinced the likes of Real Madrid, Barcelona and Bayern Munich to sign up. Each of the clubs on Dugout are shareholders in the company, they create their own content for the platform and split the advertising revenue evenly. United are now treating MUTV in a similar way, Cliff Baty, Man United’s chief financial officers, told investors in the same earnings call that it was treating MUTV “as a sort of production company” which they would then push on their media channels. Martin believes that MUTV as a medium is “very powerful” but admitted that it has been “undercooked” until recently. “I think what they’re trying to do is wake that up so it can control its own messaging and go straight to the audience as opposed to go through third party media,” he continued. This content creator mindset mirrors that of global brands like Adidas and Nike, both of whom have taken more control over creating their owned channels and connecting with audiences with their own content rather than relying on third parties. Nike’s ‘Breaking2’ project is the latest example of this. The brand enjoyed unprecedent media coverage with its sub two-hour marathon attempt, much of which was focused on its new running shoe. 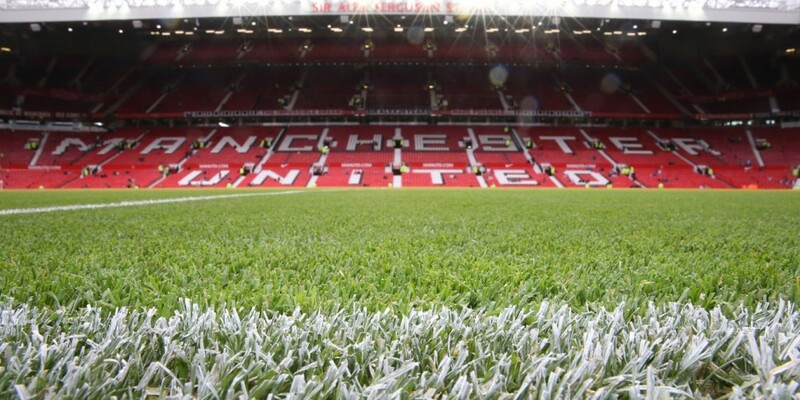 Similar to how global brands use Facebook, football clubs like United will now use the platform as a marketing channel to drive audiences to their own platforms which can then be monetised. Looking ahead, Havas’ Pettett said: “The longer-term bet being made by Man Utd and Europe’s other top clubs is that direct revenues from OTT sports content, such as MUTV, will move from being essentially a marketing platform to a commercial one, becoming a major income stream in its own right”. Antony Marcou, Sports Revolution chief executive, also recognised the “particularly powerful” value of data and driving audiences to owned platforms, but stressed that clubs must choose carefully where to distribute content in order to preserve their sponsorship value. “There’s a trade-off of using your own platform and keeping the data or using Facebook and having a far bigger reach for you and your partners,” continued Marcou. The moves are indicative of a wider trend beyond just football where big sporting franchises like the NFL, NBA and UFC have sought to own and control their own content in an effort to tap into the true value of audience data.